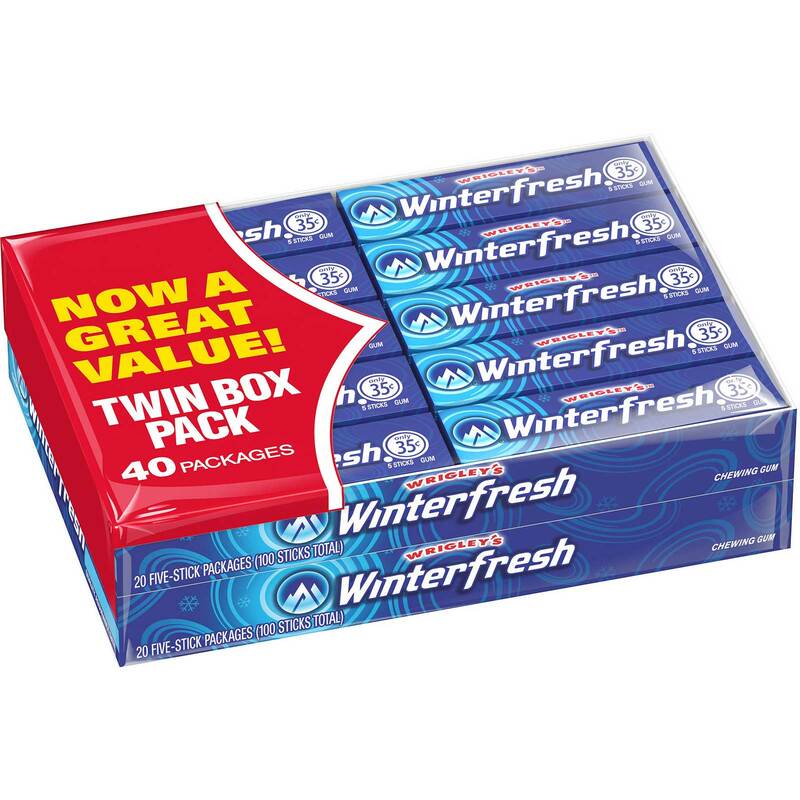 WRIGLEY TWIN WINTERFRESH 40 CT .
Order WRIGLEY TWIN WINTERFRESH in bulk at wholesale price from Volt Candy Online. WRIGLEY T-PK WINTERFRESH 10 CT WRIGLEY T-PK WINTERFRESH 10 CT . WINTERFRESH flavor. Sugar free gum. Tasty chewing gum. Actually fresh your breath. WRIGLEY T-PK JUICY FRUIT 10 CT WRIGLEY T-PK JUICY FRUIT 10 CT . JUICY FRUIT flavor. Sugar free gum. Tasty chewing gum. Actually fresh your breath.